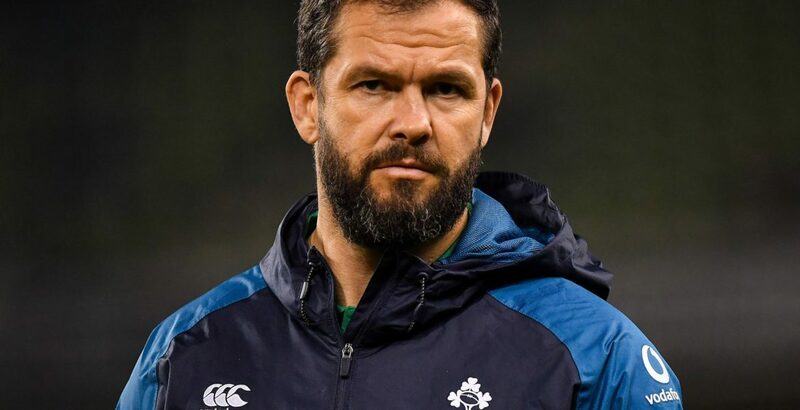 Incoming Ireland head coach Andy Farrell would have been a contender to replace Eddie Jones as England boss, says RFU interim chief Nigel Melville. The Ireland defence coach will replace Joe Schmidt when the New Zealander stands down after the World Cup. But Melville says the former England cross-code international would have been a candidate to return to Twickenham when Jones departs. Farrell was part of Stuart Lancaster's backroom team from 2012 to 2015, but was not kept in his role by Jones when the Australian was appointed following the 2015 World Cup. And Melville admits there was a lingering sense of regret when Farrell was confirmed as Schmidt's successor last week. "Good on him and we wish him well." Jones is contracted to 2021, depending on England's results at next year's World Cup, with Melville insisting the plan remains for the Australian to groom his successor in 2020. While Melville says someone with head coach experience would be preferable, the likes of current forwards coach Steve Borthwick are in the frame. "Steve Borthwick has been a really loyal servant to Eddie, and he will probably be interested," Melville added. Melville has also ruled out the prospect of the Premiership being ring-fenced in the near future, confirming there will be relegation from the top flight this season. England's leading clubs are continuing discussions about scrapping relegation and expanding the league. The RFU would have to sanction any such changes to the structure of the English game, with Melville saying he would need "a very convincing argument" to support ring-fencing. The likes of Leicester, Bath and Northampton are among the big clubs who may be caught up in the relegation mix this campaign. "[Ring-fencing] won't be happening this season," Melville said. "We know what is set for this season and what the structure is. A team will be going down in May. "If [Premier Rugby] want to come to us with a convincing argument, then fine we will look at it. But that is for them to come forward with. "I think the excitement about the Premiership is that fight for relegation. Of course I would [like to keep relegation]."